You'll be £14.99 closer to your next £10.00 credit when you purchase Armoured Warfare and Hitler's Allies 1941-1945. What's this? German, American and British tanks come to mind first whenever the military vehicles of the Second World War are considered – they get all the historical attention. The tanks, self-propelled guns and armoured cars built and deployed by the secondary nations in the conflict, in particular by Hitler’s Axis allies, have been almost forgotten. The rarity of these armoured fighting vehicles makes them especially interesting, and that is why Anthony Tucker-Jones’s photographic history is of such value. His selection of previously unpublished wartime photographs provides a visual record of the armoured forces thrown into action by Hitler’s allies on the Eastern Front from 1941 to 1945. Illustrated here are the panzers deployed by Bulgaria, Finland, Slovakia, Hungary, Italy and Romania on the Eastern Front and in the Balkans. Hungary’s home-made armour included the Toldi and Turán tanks and Zrínyi self-propelled guns. The Italians produced CV-33 tankettes, Semovente self-propelled guns, Autoblinda and Lancia armoured cars and a series of tanks. Romanian and Czech tanks and assault guns were also deployed. This book has much to offer. The images are excellent and I found it to be an informative and easy read. There is quite a bit here for model makers and anyone who has a liking for the sort of armour used in the early years of the war. French built tanks appear to turn up in all the wrong places at the wrong time, while Italian and other home built kit fair little better. There is a kind of tragic naivety to it all that really impresses on us how hopeless things proved to be for the states embroiled in supporting Hitler’s ambitions. Good stuff. There are few English language books dealing collectively with this subject and [this] is a useful additional reference. 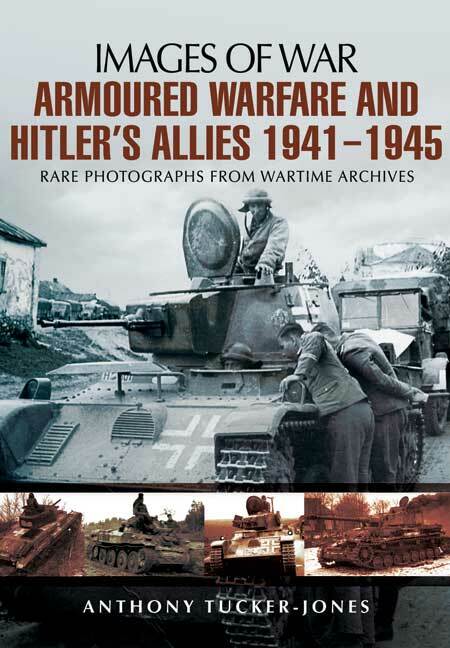 SMMI columnist Anthony Tucker-Jones presents a multitude of unpublished photographs and provides a visual record of armoured forces thrown into action by Hitler's allies on the Eastern front from 1941 to 1945.